2nd series version of the Star Wars iMessages sticker set. 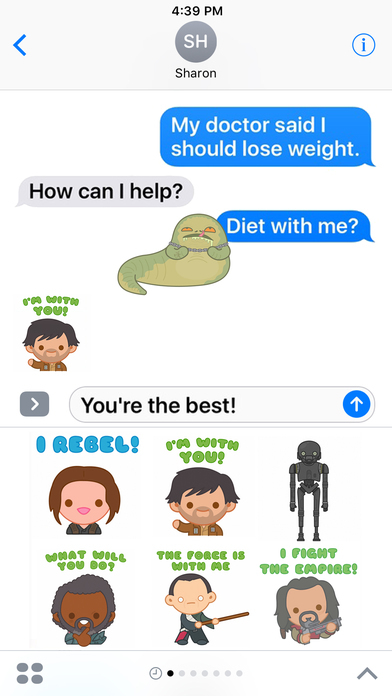 I worked with Lucasfilm to develop an original animated Star Wars iMessages sticker set for Apple's iOS10 for the iPhone. 21 animated stickers, featuring new characters from Star Wars: Rogue One and more legacy characters!